This weekend will mark the 102nd Grey Cup. 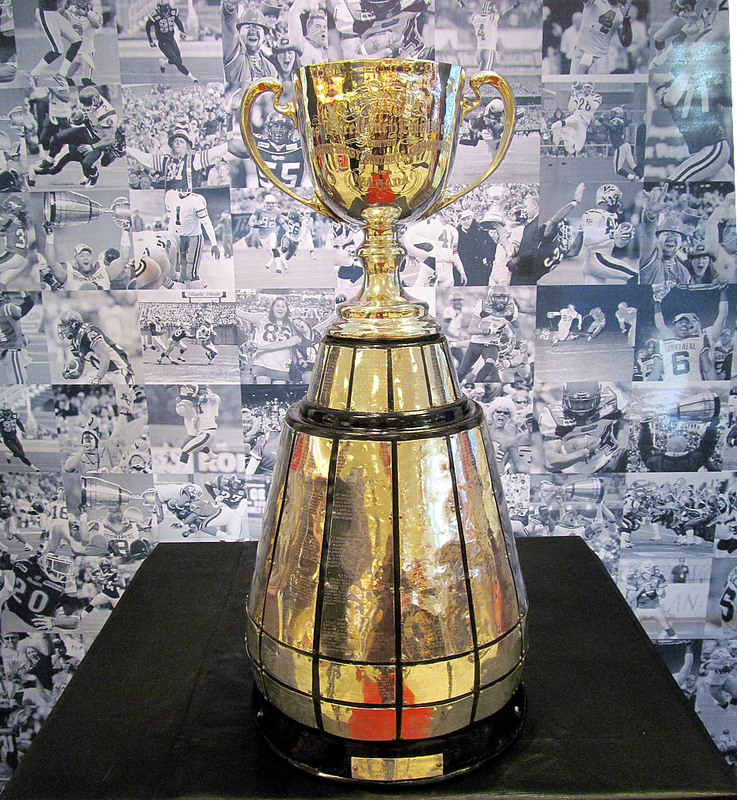 Yes, even though us Canadians like celebrating Super Bowl Sunday, we also celebrate Grey Cup Sunday where we salute our own football league and we crown our own champions. Plus an extra excuse to pig out on munchies. Yes, one of the best things about being Canadian is we can hold two football parties in the year. 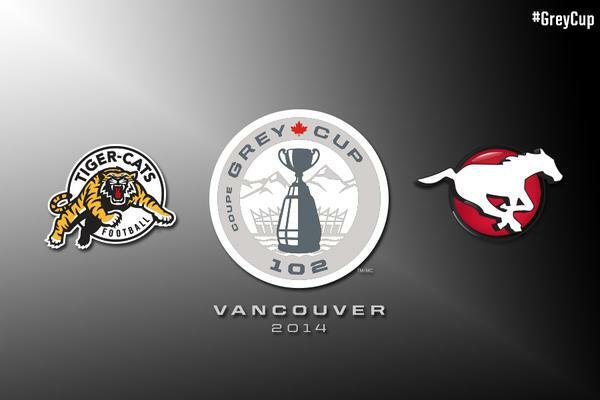 The 102nd Grey Cup is especially exciting because Vancouver is hosting! Interesting how we only get a three-year wait for hosting the Cup. Well it’s interesting to know the last time we hosted, we started a streak. The streak being consecutive Grey Cups won by the host city. Crazy thing is that we will mark the end of that streak this year because the Lions lost in the playoffs! Yes, a bit of a downer. Besides how did we end up playing for the East division semis anyways? This year’s Grey Cup is called the ‘Roar On The Shore.’ Lots of festivities are planned to happen even as soon as Thursday. A parade of course will happen Saturday morning. The Cup has Dallas Smith and Nikki Yanofsky planned to sing the national anthem. This is a welcome back for Nikki as she is famous for singing I Believe: the official song of the Vancouver Olympics. The big surprise is that an American band, the Imagine Dragons, are halftime show performers. This is the first Grey Cup in seven years where a non-Canadian act provides the halftime show entertainment. I don’t know about you but I don’t think it’s right having a non-Canadian performer for the halftime show. This has been a unique year for the CFL. For one thing, the league returned to nine teams as Ottawa came back with a new team, the RedBlacks, and Winnipeg returned to the Western division like they should. Also unique is how many miles ahead the West is over the East. Just look at the regular season stats yourself. As for the actual game, the West will be represented by the Calgary Stampeders. The East will be represented by the Hamilton TigerCats. One’s a finalist from last year, one’s a finalist from two years ago. One won their last Grey Cup six years ago. The other won their last one fifteen years ago. Both finished their regular season top of their division but one was the top of the league. And both teams’ head coaches have won at least one Grey Cup in the past. Already it’s fair to say that the Calgary Stampeders are the CFL team of the year. The Stampeders finished the regular season with the best record of all CFL teams with 15 wins and only three losses. Also this looks to be Jon Cornish’s year as he has become one of the biggest standouts of the CFL this year. Right now it’s hard to find a flaw in them that could cause me to think they’d lose the Grey Cup. Especially since they won their division finals game against the Edmonton Eskimos by a huge margin: 43-18. Particularily remarkable since the Stampeders won both their regular season games against them but by 28-13 and 41-34. However we should also know there are no guarantees in sport. We should also keep in mind that yes, the Stampeders beat the TiCats in both their regular season games but both wins were close ones: 10-7 and 30-20. We should also keep in mind is that the TiCats’ last loss to the Stampeders would be their turning point to becoming better and more victorious over the remainder of the season. The Stampeders know how to win against the TiCats, no doubt about that. The question is can they deliver on Sunday? The Tiger-Cats had the misfortune of a tough season opening: they lost six of their first seven games. However they had a big turnaround that started on Labor Day with a win against the Toronto Argonauts and things got better and better for them by winning eight of their last eleven regular season games. They finished the season with nine wins and nine losses like the Montreal Allouetes but they finished at the top of the Western division because of point differentials. The TiCats showed they can really deliver now as they were able to win the Eastern final against the Allouetes 40-24. And the Allouetes were one of the teams they lost to during their ‘losing streak’ early this season. No doubt the TiCats are the most improved team of the CFL but the question his have they improved enough to rival the Stampeders? We should keep in mind that Calgary was not only team of the year during regular season but regular season also showed a near-dominance of the West in overall league stats. In face Hamilton may have finished top of the East with nine wins and nine losses but nine wins and losses is also the same stat of the BC Lions: the team that finished fourth in the West. In fact Hamilton has lost at least one game to all five West teams. This lagging behind of the East could become prevalent on Sunday. This is going to be a toughie. Sure Calgary beat Hamilton in both regular season games. But Hamilton improved greatly after their second loss to Calgary. However I’m not going to make the same mistake I made with the World Cup semi-final where I predicted Brazil would beat Germany 1-0. I couldn’t have been wronger. So I will trust my instinct and predict the Calgary Stampeders to win 38-20. This will make it the fourth Grey Cup for coach John Hufnagel. And there you go. That’s my Grey Cup prediction. Funny how Grey Cup is second to Canada Day in terms of Canadian patriotism. Kickoff is 3pm Vancouver time Sunday. Stay toond!